The Assistant Minister for Youth and Sports, Iliesa Delana, has emphasised inclusiveness and equality in the rural villages in Nadroga during his visit there this week. “I have noticed during my visits that there are disabled people with special needs in almost every village in Nadroga,” Mr Delana said. “They are being kept at their homes, lack proper support and are not welcomed to actively involve themselves in communal activities. “Most of these people with disabilities are middle-aged and they can be part of almost everything, but it seems the stigma that prevailed in most rural areas prevented society from being inclusive – barring the disabled from almost all activities. Mr Delana was at Vusama Village on Wednesday and met 32-year-old Sereana Kele, a disabled person with special needs. Ms Kele has never uttered a word since birth and has problems walking and Mr Delana has offered to try and secure assistance from the Fiji National Council for Disabled Persons (FNCDP). Vusama Village headman Watisoni Bete said, “We are blessed to have the Assistant Minister to motivate us as to how we should treat the disabled members of our community and what they can achieve and contribute to our community. 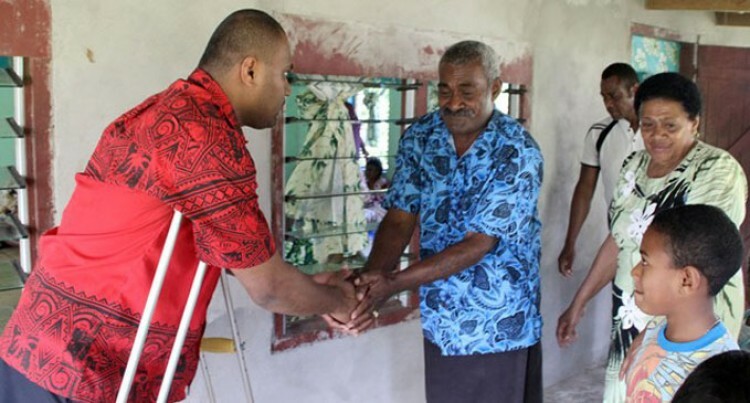 Mr Delana, meanwhile, told the villagers in Vusama that an international donor was interested in building a centre for disabled persons in Nadroga and Navosa.